Being a servicemember is a rewarding and hectic career path, and finding adequate childcare is essential in order for military personnel to rest assured that their children are in safe and capable hands. For some families, off-base daycare sites may be more logical from a logistical, financial, and/or geographical perspective, and although finding a suitable childcare facility can be a tedious process, military parents can rejoice that there are some viable local options. For Lacey dwellers, Horizon Learning Center shines as a beacon of early-learning activity, while the Puyallup Learning Center is a great off-base alternative for Puyallup, Spanaway and Graham residents. Both centers are owned and operated by military spouse Sherry Helton, using her experience as a way to connect with other military families. 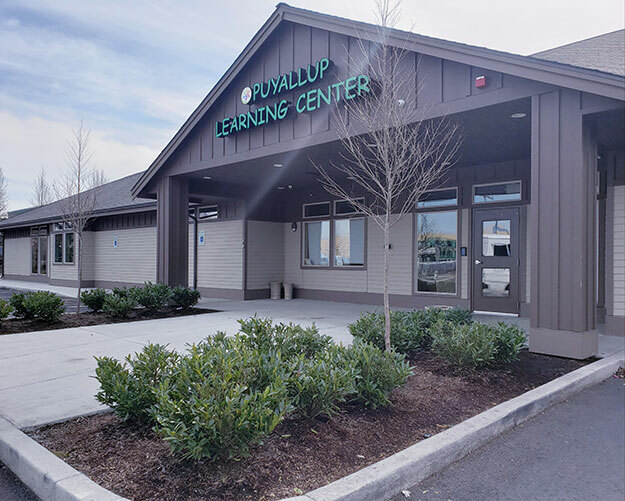 "Our whole mission is to create a safe, fun learning environment for children," enthused Amber Smith, who is the Center Director at the Puyallup location. "We want to provide quality care in the community and really develop children to become lifelong learners." That philosophy is reflected in the highly individualized approach that caters to the unique needs of each child by incorporating daily observations and tailored lesson plans. Both centers create curriculums that are designed to help children improve their skills in: art, science, math, technology, literacy, and social studies. Additionally, parent/teacher conferences are offered quarterly, which grant parents the opportunity to touch base with the teachers, receive feedback on their child's progress, and view collected works and projects completed by their kiddos. This close attention to detail, commitment to fostering growth in youngsters, and empathetic perspective towards the woes of military life is a siren song to families who seek the same level of commitment as on-base childcare facilities. "I have experience as a military wife, so I know the struggles that can come with being married to a military member, including deployments," Smith related. "It's our mission to help families and support them through those hard times." What are some other nifty things that set Puyallup and Horizon Learning Centers apart from the rest? In addition to being located in cities with a high military population, site hours of operation are 5:30 a.m. to 6:30 p.m., allowing more scheduling flexibility for families. Each center also works with Early Achievers, a statewide system that dedicates its resources to ensuring high-level learning by means of rigorous coaching. Since currently undergoing the process of becoming a nationally accredited center, military members are also encouraged to take advantage of the Child Care Aware of America subsidy, which offers Military and DoD fee assistance programs. It's no secret that most working adults spend more hours a day in the workplace than anywhere else. Considering this reality, entrusting your children to qualified, efficient and experienced individuals is a must. Thankfully, finding excellent childcare that jives with desired proximity to home is not only possible, but likely with sites such as Horizon and Puyallup Learning Centers.